This year the Koelnmesse once again welcomed dental professionals from all over the globe to Cologne for the 35th International Dental Show (IDS). Around 118,000 visitors attended the trade show to gather information on new products and innovations. BioGaia attended the trade fair as one of the exhibitors (almost 2,000 in total) and successfully exhibited its oral health probiotic BioGaia ProDentis. Probiotics have a significant potential to become the next blockbuster technology in oral care. Prior to the congress BioGaia had the opportunity to speak with Paul Valdez, CEO of Valdez Consulting and a man with long experience of the oral healthcare industry, about the technology and what can be expected from it in the next few years. BioGaia: how would you describe the oral care industry today? Today the oral care industry is dominated by a small number of multi-national companies who are focused on building oral care mega-brands on a global scale. Toothpastes and toothbrushes account for the lion’s share of the market. The market has seen value growth in recent years through several new launches into the therapeutic sector but in volume terms the growth in the category mainly originates from developing countries, where toothpaste and toothbrush penetration is increasing among low-income consumers. Complementary oral care products such as mouthwashes, dental floss, denture care and tooth whiteners have grown quite well over recent years but overall account for a relatively small share of the market. BioGaia: which macro trends do you think will drive growth in oral care? One important factor is the ageing of the population. We know that as people are getting older more and more oral health issues come along. In parallel people have become much more demanding of their oral healthcare, both cosmetically (the desire for white teeth and it’s association with youth) and medically ( everybody these days wants to keep their teeth for life, if possible). Also changes in diet have created some new issues such as tooth erosion. The pressure to consume fresh fruit and vegetables has driven consumption but the acids contained in fruits and drinks can cause premature thinning of the enamel, opening up a new segment in the market. Finally, at Valdez Consulting we see that the increasing trend towards prevention rather than treatment in all areas of healthcare will have a big influence in the future. This trend is coming both from governments, eager to cut costs, and from consumers, wishing to take greater control over their health. We believe people will make much greater efforts in the area of prevention, hoping to minimise the need for mechanical intervention later. BioGaia: can you explain how bacteria can affect oral health? Bacteria are said to be “mans’ best friend”. However, they can also be his worst enemy! There are 100 trillion bacteria of several hundred different species in our body. In a healthy person the oral microflora is stable and diverse, and consists mainly of beneficial bacteria. Our modern lifestyle, however, has caused an ecological catastrophe in our mouths, referred to as dysbiosis. New research suggest that the diversity of oral bacteria decreased dramatically when processed sugar and flour became widely available owing to the industrial revolution. Simultaneously, the number of bacteria associated with gum disease and dental caries, such as Streptococcus mutans, has increased in the oral cavity. Restoring these reduced numbers of beneficial bacteria via probiotics might be of considerable interest in the prevention and treatment of plaque-related periodontal diseases. BioGaia: do you think periodontal disease will be the most important treatment indication for probiotics in oral care? The adjunctive use of oral healthcare products containing chemotherapeutic agents for the local use in the oral cavity have taken a variety of forms over the years. Unfortunately the side effects of the compounds currently available, primarily staining and taste, tend to limit compliance and therefore, reduce efficacy. Probiotics could offer a natural regiment to treat the condition, without side-effects. Nevertheless, clinical studies on the effects of probiotics in different fields of oral healthcare have been published such as; halitosis, oral candidiasis, and tooth decay. It yet remains to be seen for which oral diseases and conditions the probiotics used in oral care will be the most successful. BioGaia: which are the crucial factors for players in the oral care industry to commercialize probiotics successfully? Market research shows that interest in probiotics for oral healthcare is very high among the dental profession and consumers. But as illustrated even by fluoride toothpaste in it’s early days, new innovations in oral care take a long time to establish themselves. A key to their success will be the endorsement of the the new category by the dental community. This will happen through the conducting of large scale clinical trials that demonstrate the health benefits of specific probiotic strains. A key technical issue that remains to be solved is the stability of probiotic strains in toothpaste and mouthwash products. Today, probiotics for oral health are delivered in lozenges and chewing gums, which in spite of their simplicity and convenience, are not yet considered part of a serious oral prevention regime. BioGaia: what should a company do to be a probiotic leader in in oral care? There is a very limited number of players in the market today. In our view, in order to be a probiotic leader, a company will really need to fulfil three important criteria. It needs to be able to present peer-reviewed and published, placebo controlled clinical trials supporting the health benefits of their products, it needs to be able to deliver its probiotics in attractive product formats both for the dentist and the consumer, and finally, it needs to have a defined and well-proven business model applied to selling the products. 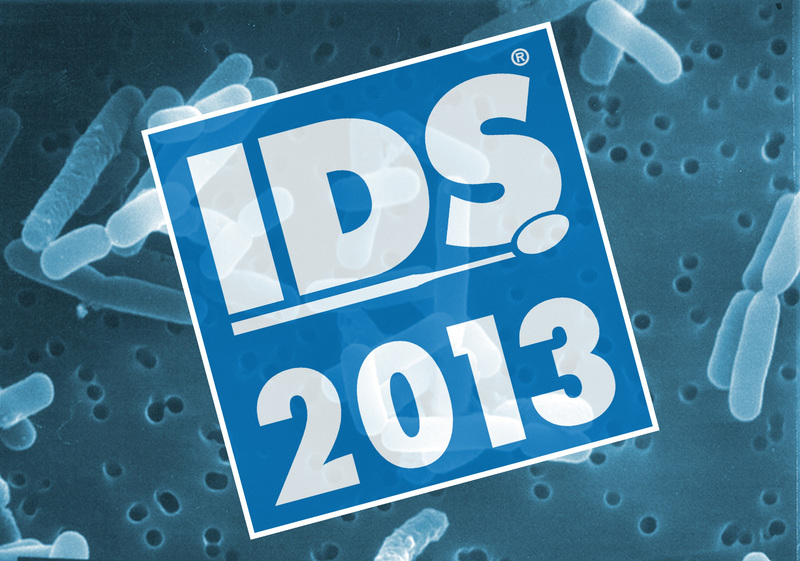 BioGaia: Finally, what do you look most forward to during the IDS? Our key objective at Valdez Consulting is to help our clients to expand their international business through using our global network. So IDS is the perfect place for us to keep in touch with everything that is happening globally because literally everyone is there. So catching up with so many old friends and colleagues is a real pleasure. As always we will certainly be leaving the show with a notebook full of new ideas and contacts. Finding potential business opportunities there is not the challenge… the challenge is finding the time to follow them all up!